1. Sarah and I help facilitate a children's class at church for kids in the community, and every Saturday at 3pm, we gather to play games and learn about Jesus and what it means to be a Christ follower through The Mailbox Club Explorers booklet. We are so thankful for these incredible books to teach children about the love of God through His Son Jesus! 2. 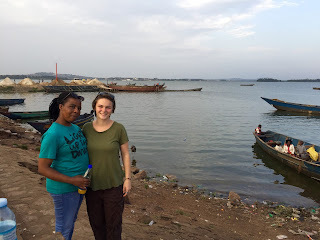 Sarah, my learning partner and housemate (and personal translator, friend, and coworker), has recently acquired a new job working with our church! She will be coordinating the community's OVC (Orphans and Vulnerable Children) program, which includes 3 surrounding villages: Rwakaraba, Bugongi, and Bubaare. Within those villages, around 50 children gather together once a month to play games and learn to do activities with children who may be HIV+ or those who have lost both parents, or with those who are living in extreme poverty. This community work operating out of our church is so important, and often stressful so please keep Sarah in your prayers! 3. I have taken up a leadership position in our youth ministry recently and it's been a blessing to my everyday life as I connect with the young people in our church. I work alongside a youth leader, Jemima, and we have decided to go through a Christian life skills book together, as well as a book series called Understanding True Love which addresses the misconceptions, lies, and temptations of today concerning youth and relationships. There are about 10 of us in total, and as a youth myself, it's such a joy to be a part of and to see other young people expressing their creativity and ideas, and using their talents, insights, and experiences to address the world's paradigms! In other news, in late January we welcomed another mzungu (white person) to Kabale! Her name is Lianna and she is also volunteering through World Renew for 6 months. At home, she is a registered nurse, and she has made it part of her routine to be volunteering at the local referral hospital while she's here, as well as being involved in the various activities in PAG's Central church in town. You can follow updates on her personal blog at https://liannajoyfull.blogspot.ug. Lianna, Sarah and I have had the opportunity to bond and become like sisters already, including our trip last weekend to the capital city of Kampala. Lianna needed to be registered at the nursing counsel, so we decided to make it a trip and visit our World Renew contact, Carol, again. While we were there, we were able to walk around Ggaba town and down to the shoreline where tons of fish were for sale from Murchison Bay. 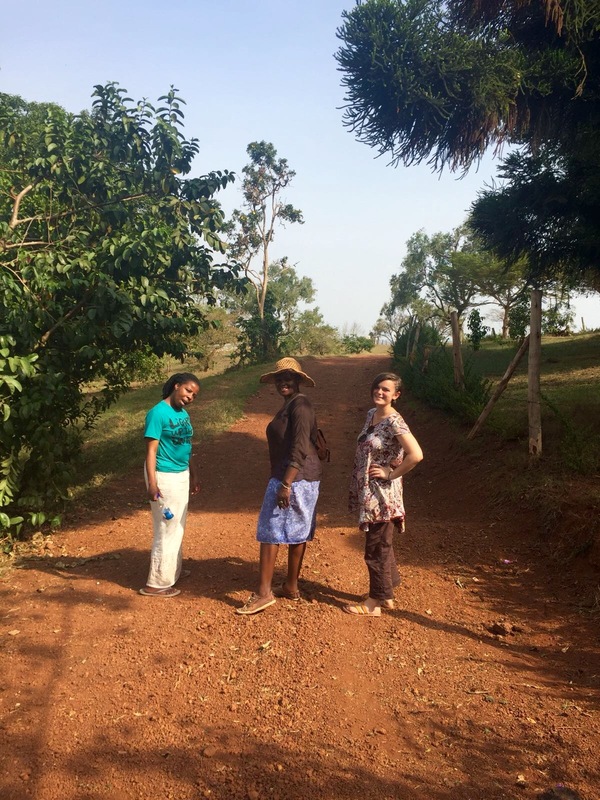 The next day, we traveled about an hour outside of Kampala to visit the ancestral home of Carol and her family. Situated on the top of a hill that her father was able to buy completely, was their remodeled home, a farm, and a primary school that her mother founded. We toured around the school where her mother has become a legend, viewed the garden in which Carol works during the weekends, and discussed the dreams of their family to expand the school, build a poultry farm for Carol's niece, and to sell the food grown in her garden. The following week, Sarah and I attended a training at PAG Central Church called Truth-Centered Transformation, which was held for the pastors and representatives of PAG's branch churches in Kabale zone. From Tuesday to Thursday last week, the pastor from Rwakaraba PAG church, Kyanamira PAG church and our Community Development Department manager led us in discussions about holistic discipleship, the truth about God's plan to restore lives within communities, God's call to love God and neighbor laid out throughout the Bible, and ways that the church of today can help in cultivating true transformation in our different areas of ministry. 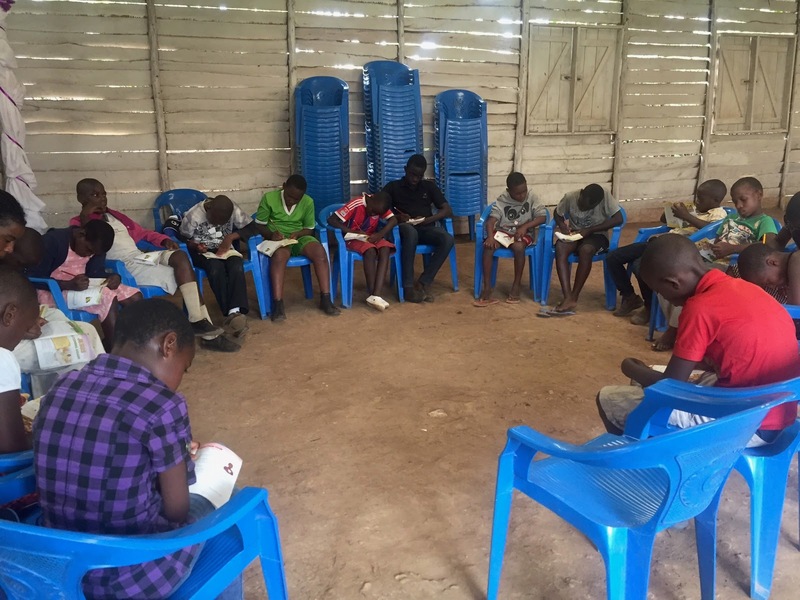 This training helped open our eyes to the truth of the Bible and the practical ways to put that into practice in the context of community development work, and we are continually blessed to be a part of God's vision here! This weekend, our friend Johnson launched his new hostel and restaurant near Kabale University, and as he is so passionate for the university youth, PAG Central's Urban Nite youth ministry was held there on Friday and Saturday night. A talented worship artist named D Reign and his band traveled from Kampala to perform for us and speak to us about some of the transformation Jesus has done in him and his ministry. Lianna and I attended Saturday night and were blown away by what a wonderful time it was dancing, worshipping, praying over young people, and listening to God's voice around an open bonfire! After church on Sunday, we went into the field with our HIV department to be a part of the community theatre and HCT (HIV Community Testing) project, where people from local communities participate in a skit that displays some of the stigmas and health concerns surrounding HIV/AIDS. After the play, there is a station set up for HIV testing for those who have been moved to test or retest because of what they saw in the play. Lianna was able to administer tests to individuals while Sarah and I recorded information of about 70 people that afternoon. We give thanks to God that in Kyanamira village, where once there were too many people testing positive for HIV, none of those 70 people who came were positive. What an impact this creative project has had in such a community! Finally, I want to thank you all for the many prayers, encouragements and updates from home! It is truly so wonderful and comforting to hear the things happening at Quest Community Church in Kentucky and in the lives of my family and friends while I'm halfway across the world. Soon I will be leaving Kabale, so over the next few weeks, I will be spending as much time as possible with the friends and family I've made here, and also praying for God to prosper this church and its ministries!